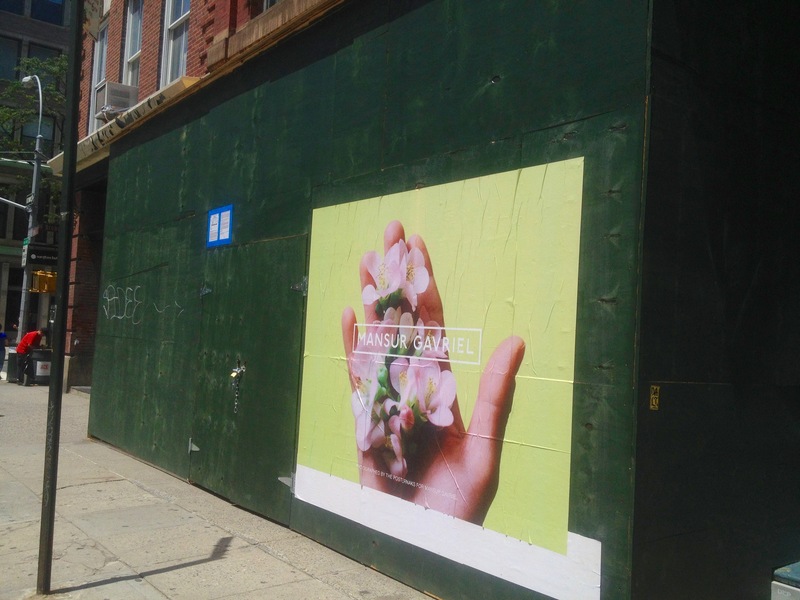 The First Mansur Gavriel’s Store in the heart of New York? While we were walking back from lunch to our office in Spring Street, our attention has been directed to one of these many storefronts under renovation in New York. Green wood panels, a door closed with a padlock, there is therefore nothing new in this. Except maybe this poster in the bottom right of the shop front displaying the brand’s name. Designed in NYC, made in Italy that is the success recipe of the success of the high desired bags and shoes which are only sold at the moment online or at Barneys, Bergdorf Goodman or Colette just to name a few. Storefront under renovation in Spring Street, New York. 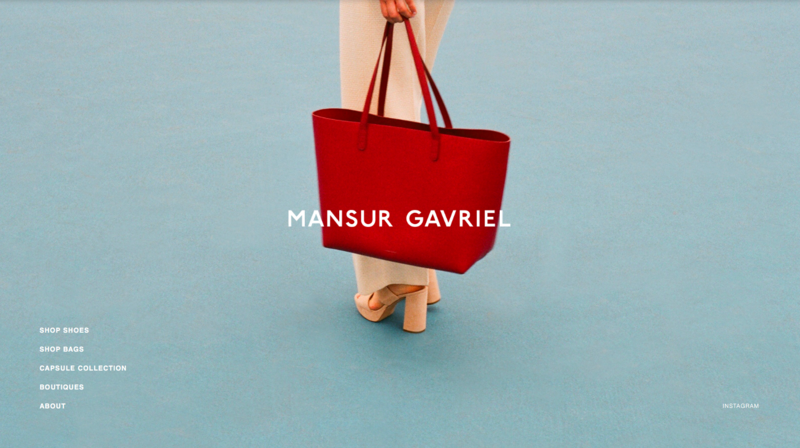 Is it the first Mansur Gavriel’s store which is going to open? We checked our phones, asked Google and the next store, nobody knows. Maybe it is just a normal printed advertising, we will keep you informed of the progress. Here is the video of the storefront under renovation in Spring Street between Wooster Street and West Broadway, New York.